Do you remember when you were younger and adults used to take hold of your squishy little cheeks and say that you’re the cutest thing, and they just want to squeeze you? What is it about squeezing a child’s cheeks that has come to be a routine encounter between adult and child? As you age, the squeezing of the cheeks no longer is an issue. It’d just be awkward at that point. For many people the cute little chubby cheeks disappear along with the aging process as well. This results in volume loss, which translates into an appearance of aging. There are several reasons you may lose volume in your cheeks as you age. Weight loss can result in volume loss in your cheeks. Wouldn’t it be great if you could guide your diet or exercise results to reduce weight in the specific areas that you want it to? Unfortunately, you don’t get to pick where the weight is lost, and often times, it happens in your face and results in volume loss. Sun exposure can cause your collagen and elastin in your skin to breakdown and results in fat loss in your cheeks. Your fat can thin out as your hormone levels change. 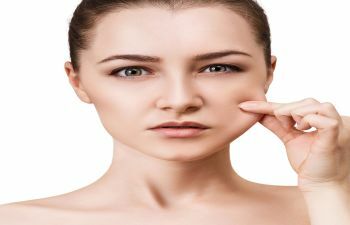 If you are dissatisfied with your volume in your cheeks, Dr. Sanaz Harirchian offers a fat transfer procedure with fat grafting to your cheeks, under your eyes and laugh lines. This is a surgical procedure that restores the lost fat with your own body’s fat from another area. Contact her office today to see if you’re a good candidate for a fat transfer to increase volume and reduce the signs of aging in your cheeks. Posted on the behalf of Sanaz Harirchian, M.D.